Discussion in 'Fishing' started by Afalex1, Jun 30, 2016. 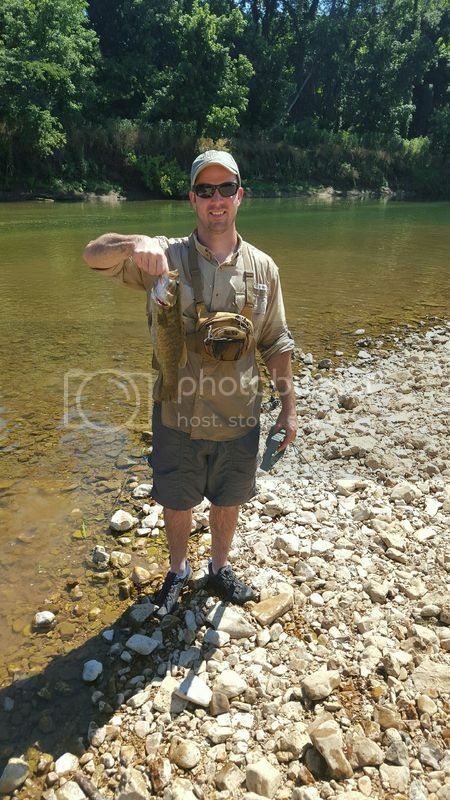 My bro in law and I did a little fishing in Yellville, AR the last couple days. We caught 62 small mouth and 2 rock bass over 2 days. The first day was slow and we only caught 16. The second day we caught 46 smalls and 2 rocks. I caught a 16.5" and a 16.75". We had an absolute blast! This one is a little blurry because my phone camera screen got cracked. rob072770, RattlesnakeDan, Lancer and 4 others like this. Boy... you dodged that one in a hurry !!! Fine lookin' fishes there. Eaten yer fill of 'em yet? You guys killed 'em! What were you using to catch them? We were using jigs, Carolina rigs with craws and yum dinger worms, and an occasional roostertail to see if it would work. 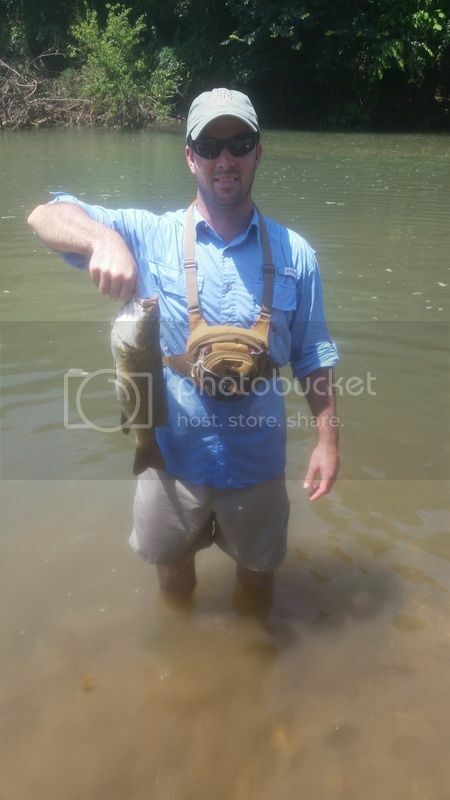 I caught the 16.5 on a black roostertail. I never catch big ones on roostertails. We don't keep any of them. We like to let them go so the next guys have a chance at catching a big one. I prefer to eat walleye and crappie. 1/8 oz chartreuse roostertail was my go to lure when I lived in TN. I never used plastic worms until I lived in FL, and now I pretty only much use plastic worms. That looks like some awesome fun. Wish I was there instead of where I'm at now. Although.....if I get a chance I could go peacock bass fishing. Doesn't look good for a day off though. Peacock bass fishing sounds fun. I hooe you get a day off. Jake and Ratdog68 like this. Ratdog68 and Lancer like this. Yeah, but you can't carry many mags in it. Afalex1, Lancer, Jake and 1 other person like this. Afalex1, Lancer and Chopperdrvr like this.